This fast-paced animated series has a nice local connection – POW Studios in Wellington provide audio and post production for the series, which was created in South Korea. Seven local actors (including up-and-coming star of Sundance Thomasin McKenzie) lend their voices to the series. You won’t find any Kiwi accents here though – Nori also airs in the States and is dubbed for Korean audiences. 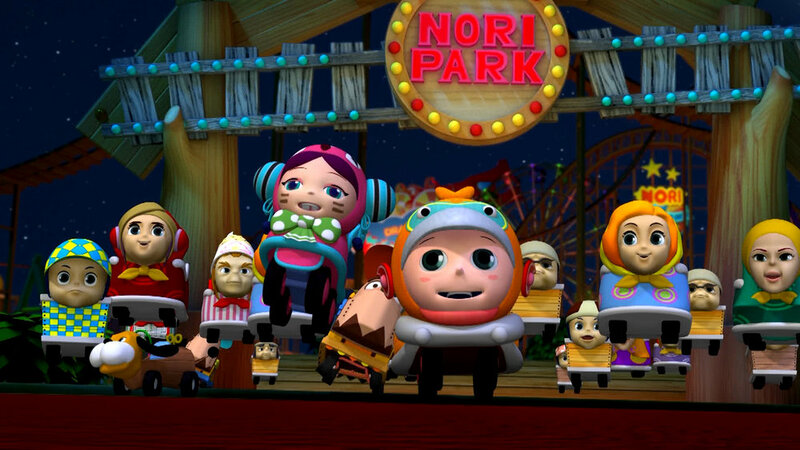 Nori, the little roller coaster who could, is fighting the takeover of his theme park home. The animation is really impressive, including the motion-master-esque roller coaster scenes as Nori cruises around his theme park home. While not pitched at pre-schoolers, my four-year-old enjoyed this one (in spite of the slightly menacing looking roller-coaster villain, complete with evil eyebrows).